3D system is leading the way in the recycling ethos of 3D printing. 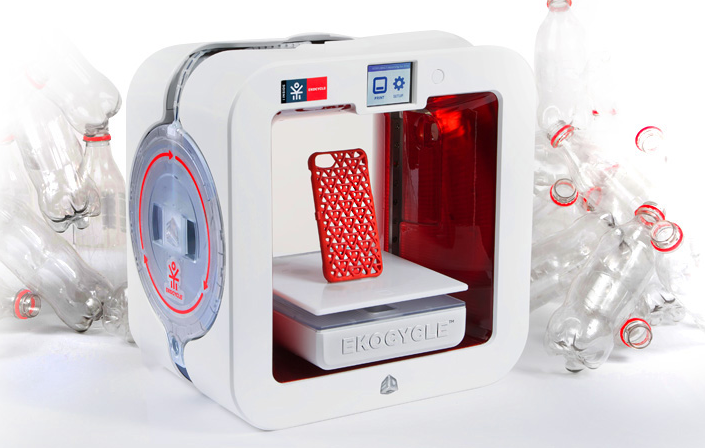 Their new Ekocycle Cube uses recycled PET plastic bottles for its filament cartridges. Each EKOCYCLE cartridge uses the equivalent of 3 bottles so that you can turn plastic bottle waste into a lamp, plate or mobile phone case. The Ekocycle is the result of 3D systems chief creative officer, Black Eyed Peas frontman will.i.am. 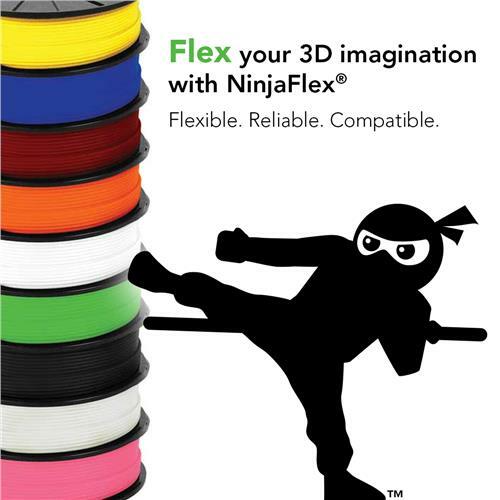 It is expected to go on sale in the second half of 2014 for around £799, a price for the filament has yet to be given. The printer itself has a build area of 15.25cm3, dual extruders, a print resolution down to 0.07mm which is pretty good for a desktop 3D printer and Wifi and USB connectivity in keeping with the new Cube 3 specifications. Reportedly each printer will come with 25 designs that have been chosen by will.i.am for 3D fashion, music and tech related 3D models. You can take a good look at the new machine including a video on the Cubify Website.